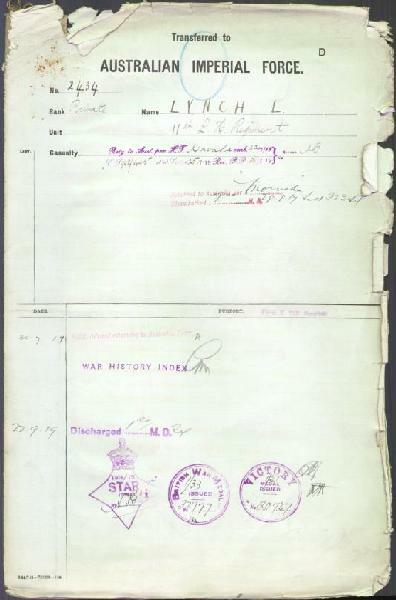 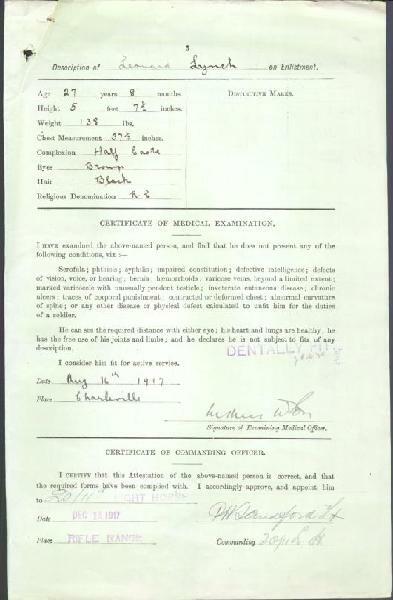 2434 Pte Leonard Lynch, Attestation Paper, p. 1. 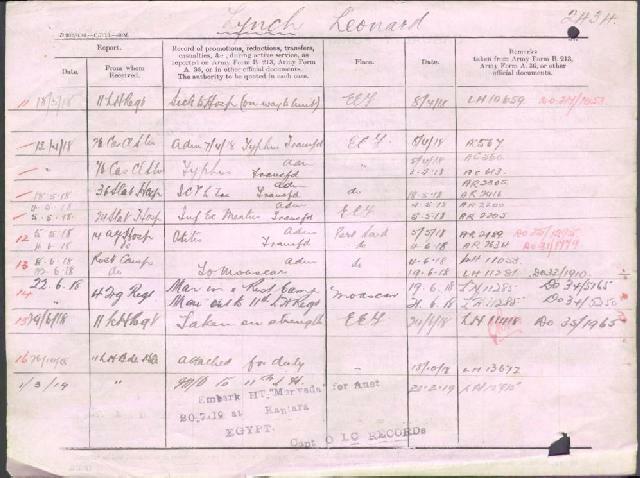 2434 Pte Leonard Lynch, B103, p. 1. 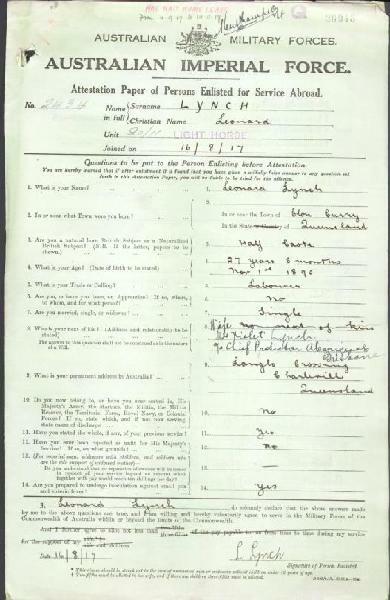 2434 Pte Leonard Lynch, B103, p. 2. 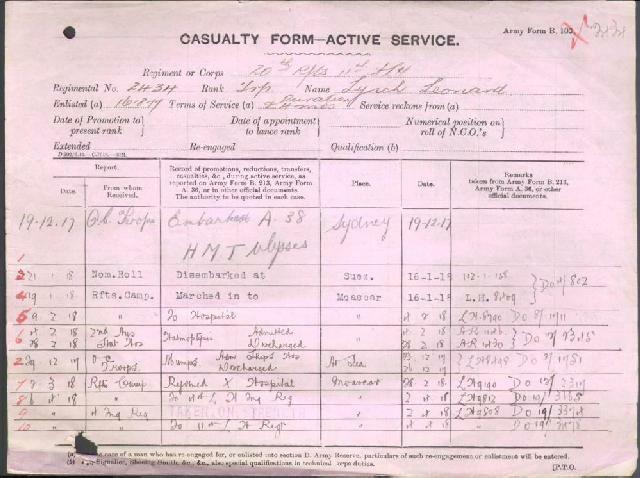 2434 Pte Leonard Lynch, AIF D, p. 1.